Soundproof music practice App for iOS. Get help learning to play songs whether on your guitar, cello, drums, violin, bass, keyboards, piano or ukulele! Soundproof is our music practice app for iPhone and iPad. It helps you play along with songs you need to learn, with easy to use looping and slow-down features. See below for some more information about the features available and how to get the most from your practice sessions. You can swipe down anywhere on the player screen to add a marker. This requires less accuracy than tapping the button to add markers, and works whether the track is paused or playing. Fear not – swiping down will never delete markers. Soundproof is always repeating. There are no non-repeat modes, so you can always press play and just get on with your practice. You can change the repeat mode using the repeat mode button in the player interface. “Setlist” mode will play all tracks in the current set list, and then start at the first track in the setlist again. “Track” mode will repeat only the current track. “Markers” mode will loop a specific part of the current track. 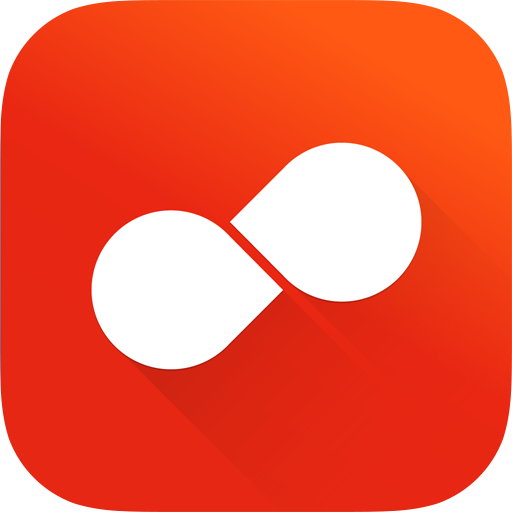 If you have enabled the Count-In feature enabled, before each track change, repeat or loop repeat the Count-in will begin. If you have the announcer enabled it will announce only when the current track changes. Soundproof plays tracks that are in your device’s Music library. These are tracks that you can see in the default Music app. However, you may see tracks that have a cloud or lock icon beside them and Soundproof will warn you about these. Tracks with a cloud icon cannot be played by Soundproof because they are not on your device. This applies to iTunes Match and iTunes in the Cloud (previous purchases) tracks, as well as tracks that may still be downloading to your device. To copy these tracks to your device you must use the Apple Music app on the device, find the tracks by searching for the album or artist, and then use the cloud download button beside the track or album to begin the download. Sadly it is not possible for us to do this for you automatically. If you cannot find your tracks this way, make sure you are not searching by track title - the Music app will not show a download icon for a track title match. If you have tracks with a lock icon, they are copy-protected (also known as DRM) and cannot be played by anything other than Apple’s Music app. You may be able to purchase unprotected versions of these tracks by upgrading them to iTunes Plus content using the iTunes Store. Soundproof allows you to search for tracks in your device’s Music library. Any track that you can see in the Apple “Music” app will be visible in the Soundproof track selector. You can select tracks when you use the “+” button to add tracks to an existing set list, or by adding a new set list. You can choose tracks from either the History or All filters. “History” contains tracks you have previously used in Soundproof, and “All” contains all tracks in your Music library. When you select tracks they are collected together, and only added when you use the “Add to set list” button. Note: Soundproof does not copy your music files from the Music library. If you remove a track from your device, you will not be able to play it in Soundproof, although the set list will still contain the track. If you copy the track onto your device again, the track will become playable again in Soundproof, and your practice statistics are kept. As of version 1.0, Soundproof can only play tracks that are in the system Music library. To add songs that were not purchased in the iTunes Store and are not already present on your device, you will have to add those tracks to iTunes on a PC or Mac and sync them to your device. If you have iTunes Match, you will not need to sync the tracks to your device, but you will need to download them onto your device using the built-in Music app (hint: tap the cloud download icon by the track or album). When you need to practice a specific part of a track, you can use Repeat Markers mode to loop just that section until you get it right. All you need to do is set a start and end marker. When you change track, you will be taken out of Repeat Markers mode. You can always return to the mode by changing the Repeat Mode. You can shake the device to restart the current track or marker region. We call this the shake of frustration. Note that you can turn this feature off in Settings. Soundproof will track your practice on a daily and weekly basis, as well as how much time you have spent practicing each Setlist. If you have a regular lesson you may want to check you have done enough practice since the last lesson. You can tell Soundproof what the “start of week” day is and it will use this to calculate the practice you have done in the last week. For example if your music lesson is on a Tuesday, you can set the start of week to Tuesday, and always get an idea of how much practice you have done with Soundproof since the last lesson. To change the “start of week”, go to the Settings screen in Soundproof and change the start of week. With Count-In switched on, you will get a countdown in seconds before each repeat of your track or markers. This gives you time to get ready to start, especially useful for songs that start very quickly. Sometimes you will want a count-in only at the start of a practice session, in which case you can turn off the Count-In feature using the COUNT button on the main player UI when a track is playing. The count-in will happen every time the player changes track, restarts the current track, or restarts a marker region. You can also choose whether or not to have click sounds with the Count-In, by toggling the “clicks” button on the Count-In screen. Accessibility is very important to us, and we worked hard to make Soundproof work great for practicing along with music using VoiceOver on iOS. We have some special features added for VoiceOver users on some of the screens. On the welcome screen you see when first running the app; you can Magic Tap (two-finger double-tap) anywhere to get to the next screen where you can select the tracks for your first Setlist. On the player screen; the Magic Tap (two-finger double-tap) gesture will cause it to play or pause, and changing the selected track will automatically pause the player even if it was currently playing, so that you can tap the track information to check which track it is and avoid confusion with the Count-In screen appearing. The time position control will tell you the positions of markers and you can increment or decrement the time position in ten second intervals. On the count-in screen; Magic Tap will skip the count-in and start playing immediately. The Escape gesture (two finger scrub) will cancel the count-in and return you to the player and leave the player paused. Soundproof works great with headphone remote controls. The behaviour changes slightly depending on the current mode Soundproof is in. Single click will play or pause. 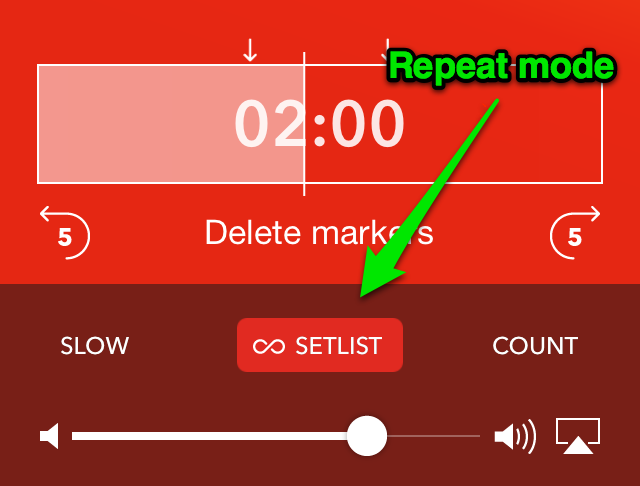 Triple click will skip to the beginning of the current track or loop region if you are in Repeat Markers mode. - unless you are more than 3 seconds into the track. If you are more than 3 seconbds In which case it will take you to the previous track to play, which again depends on your repeat mode. If you are in Repeat Markers mode you will never be taken to a different track, only back to the start of the loop region. Single click will cancel playback and return to a paused player. Double and triple click are ignored. Which iPhone or iPod touch can run Soundproof? Soundproof will run on iPads compatible with iOS 8 or higher, but will run as an iPhone screen scaled up to fill the screen. Future versions of Soundproof will support iPads fully. You must upgrade to iOS 8.0.2 or higher to avoid bugs with audio playback on all devices. Will Soundproof run on an iPad? Yes, Soundproof will run on iPad but only as a scaled iPhone application. It is not a Universal application at this time. Please note that while we would like to reply to everyone, we are a small company. We'll try our best but no guarantees! Soundproof is a Montana Floss Co. product.